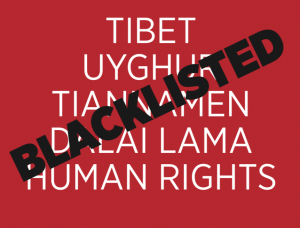 LONDON, UK — To mark Internet Freedom Day, Tibetans, Tibet supporters and corporate campaigners gathered outside Google’s King’s Cross office in London this afternoon, calling on the company to scrap its controversial plans to develop a censored search engine in China, Project Dragonfly. 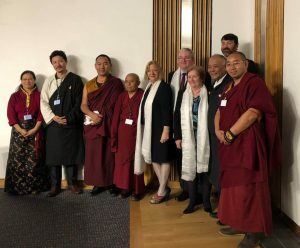 The gathering was made up of representatives from Tibet groups including Free Tibet, International Tibet Network, Students for a Free Tibet, Tibet Society and the Tibetan Community in Britain (1), along with consumer group SumOfUs (2). 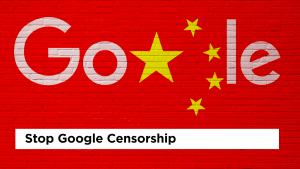 It was part of a wider campaign by these groups to urge Google executives to officially close Project Dragonfly, which, if it goes ahead, would see the tech company create a search engine that complies with the ruling Chinese Communist Party’s tight internet censorship laws and would facilitate state surveillance in China by linking users’ search history with their telephone numbers. “It’s quite a big topic. 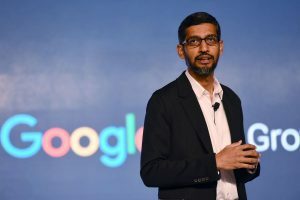 It’s a big topic inside as well,” said a Google employee who wanted to remain anonymous. “It’s a good cause. Keep going,” said another anonymous employee who works in the Google HQ building. Towards the end of the gathering, the organisation’s Communications Manager came down to accept a letter from the group, which outlined their opposition to Project Dragonfly. 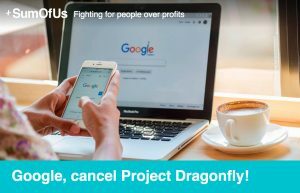 There has been significant opposition to Project Dragonfly from within Google. Thousands of staff members have circulated letters expressing their concerns, leaked information to the press and in some cases resigned in protest. 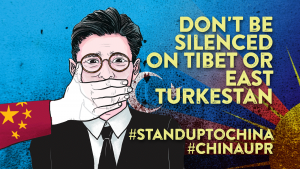 John Jones, Campaigns and Communications Manager at Free Tibet said: “The activities around the world today have clearly demonstrated the opposition to Project Dragonfly from Tibet and, Uyghurs, human rights defenders and even many of Google’s own staff. 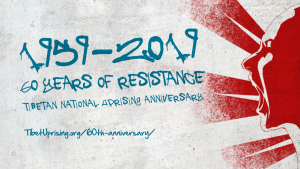 The people who turned out today know as well as anyone how the Chinese government under Xi Jinping has heightened the repression, the state intrusion and the surveillance, on the streets and online. They know that this is not the time for Google to be working with this regime and effectively helping it carry out its human rights abuses. Google’s executives should heed their words and announce that the project has been scrapped”. 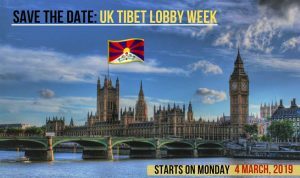 For further information, see: www.sumofus.org View the SumOfUs petition here: https://actions.sumofus.org/a/google-cancel-project-dragonfly-1 which has been launched in conjunction with Tibet support groups Free Tibet, the International Tibet Network and Tibet Society.